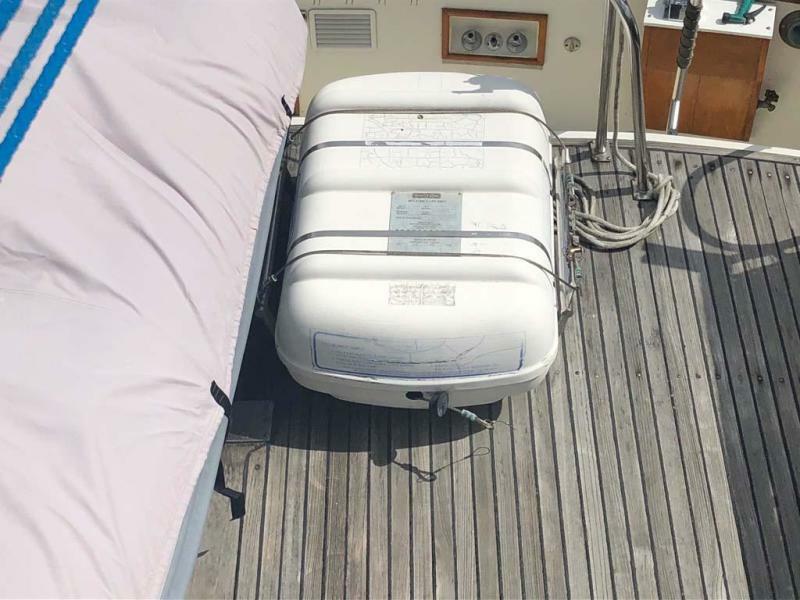 An elegant 46’ Grand Banks Classic…this one is stabilized and is powered with the popular 3208 Caterpillars. It has new fuel tanks, new bimini, and newer GPS. The main deck teak has been removed and replaced with nonskid. 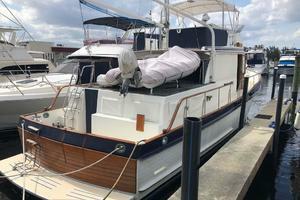 The owners are moving on and this is available for immediate sail away…. 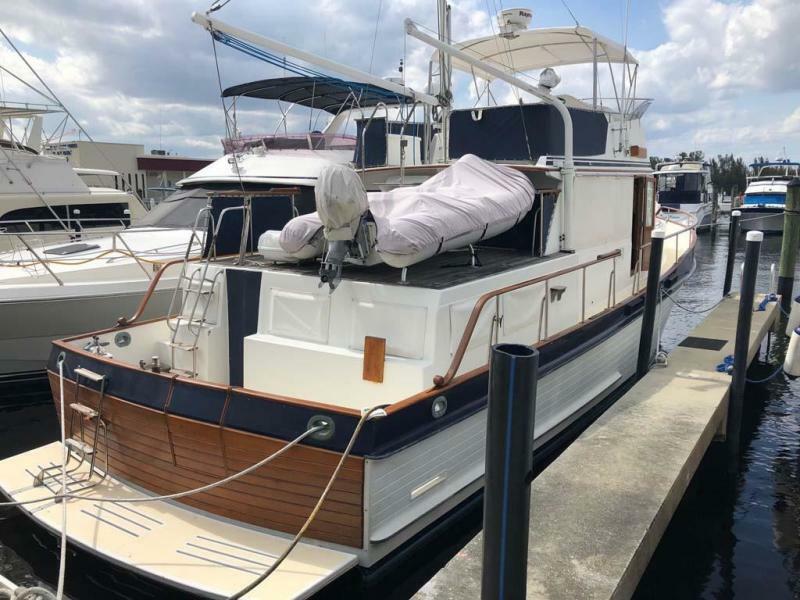 West Florida Yachts would love to guide you through a personal showing of this 46' Grand Banks 46 Classic 1986. 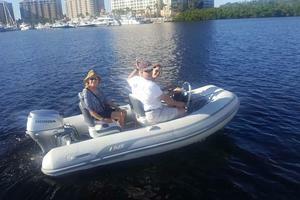 This yacht for sale is located in Ft. Meyers, Florida and priced at $189,500. For a showing please contact us by filling out the form on this page and we will get back to you shortly! The master is aft with centerline queen berth. There are entry steps from the aft cockpit. There is a private head with shower stall and ample storage including a huge centerline hanging locker. 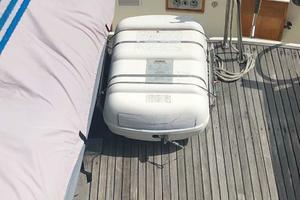 The salon is spacious with a lower helm forward to starboard and an L shaped settee aft. There are two chairs on port. There are port and starboard entry doors to the salon. Continuing forward, down three steps to the port side galley, On starboard there is a head with shower…and a nifty built in pantry. Forward is the second stateroom with V-berth. The master stateroom is nicely arranged with a queen berth on centerline and just to port, there is a fold down stair for access to the aft cockpit. Outboard of that stair, is a vanity with mirror. The master stateroom has a private head with stall shower on the port side forward. 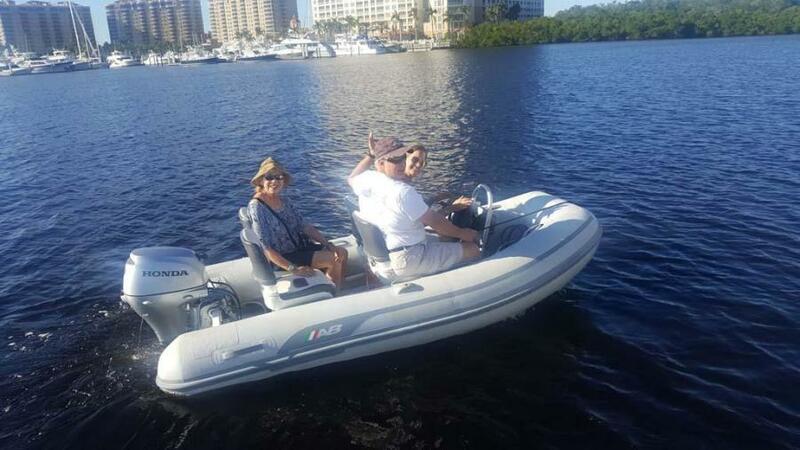 Four-person AB Inflatable with mooring cover, 10 hp Honda outboard with 20 hours. Boat and motor weigh less than 300 Lbs.